Many of us resolved to drop weight in 2015. And many of us have failed on those resolutions (present company included). My tester this week has succeeded on its weight loss. 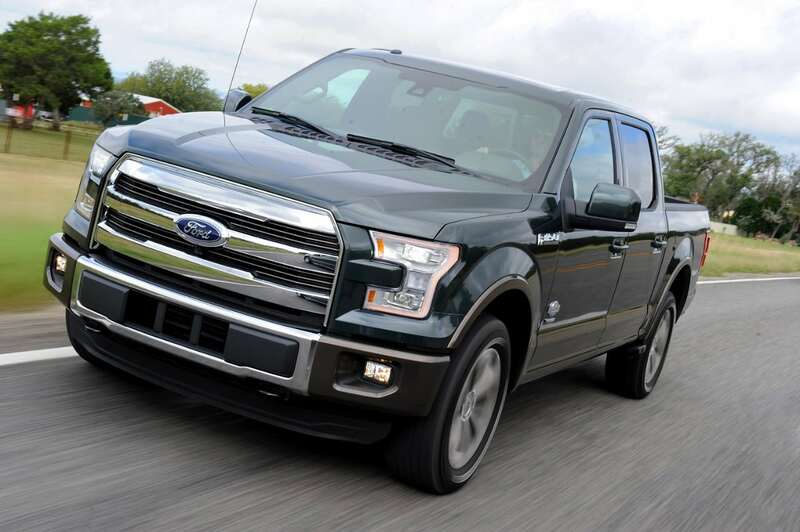 The 2015 Ford F-150 now weighs nearly 700 pounds less than the previous generation. 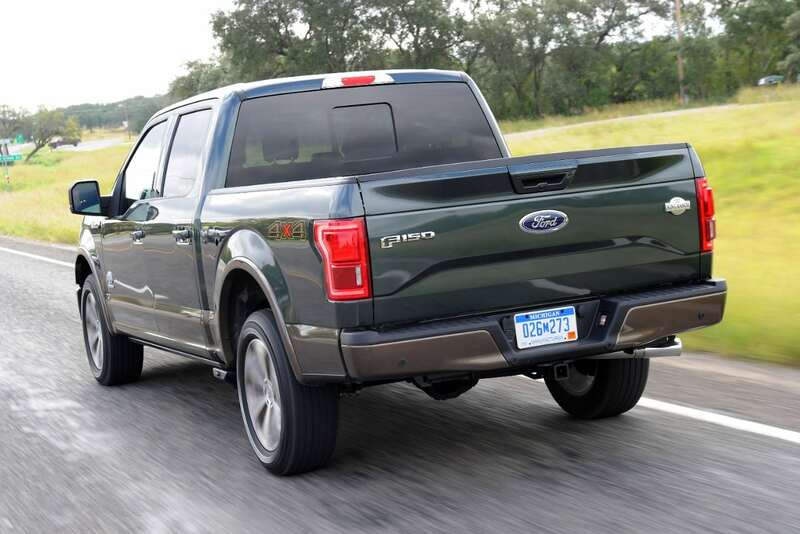 The 13th generation of America’s best-selling pickup is radically different. Ford made a bold move by replacing much of the steel in the F-150 with aluminum alloy. But, does this lighter material make the F-150 less of a truck? Not at all! 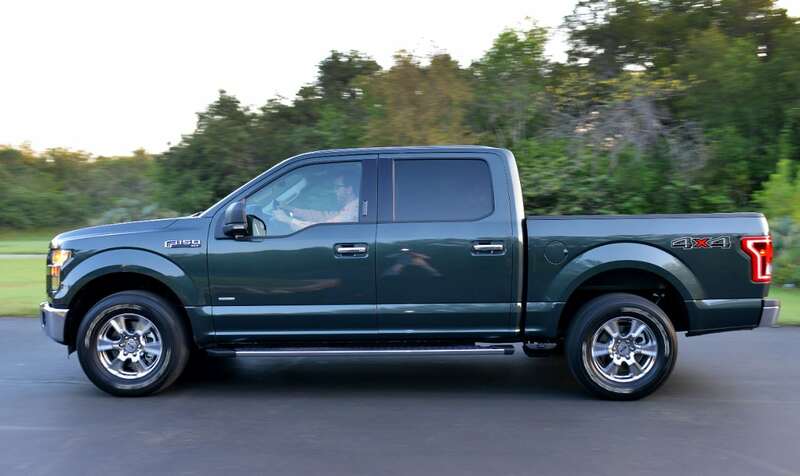 Just on appearance, the 2015 F-150 doesn’t look radically changed. The grille and headlights are moderately different, but if looks were the only thing, this would not be considered a total redesign. 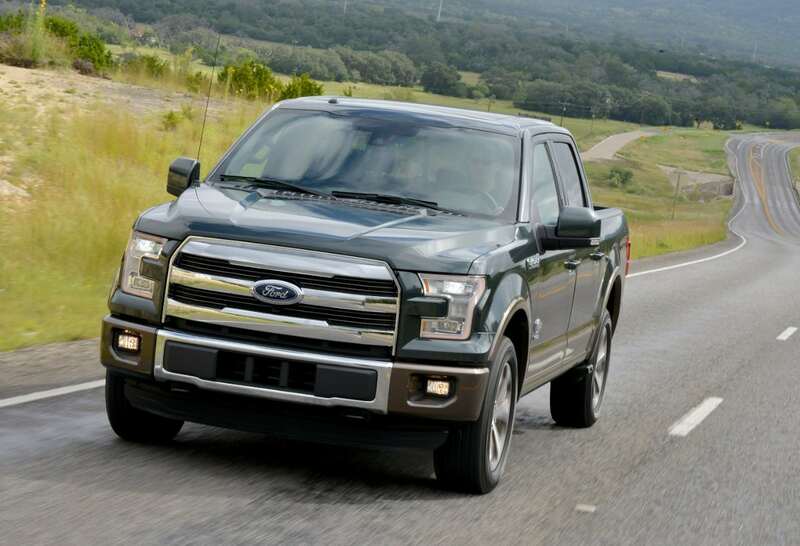 There are three engine options for the 2015 F-150. 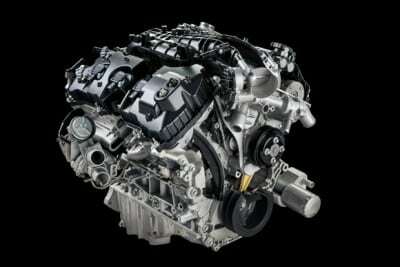 For 2015 Ford introduces a new 2.7-liter turbocharged Ecoboost engine. Another option is the 3.5-liter Ecoboost engine. My tester, the Supercrew King Ranch, came with 3.5-liter V6. There’s also a 5.0-liter V8 engine for those who really need the power and the heavier payload that comes with it. The quicker 2.7-liter engine makes 325 horsepower. 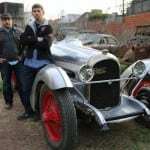 My tester’s engine was quite capable and had an output of 283 horsepower with 255 lb./ft. or torque. The 5.0-liter V8 pumps out 365 horsepower and 420 lb./ft. of torque. This engine is the one of choice for those with heavy towing needs and recreational vehicles. Although my tester had a towing capacity of 12,200 pounds, meaning this more fuel-efficient version could be the best option for many. Truck owners will have to get used to lighter V6 trucks and realize that in most cases, these new trucks will be more than capable of doing whatever is asked of them. 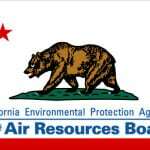 Ford has started this trend, and others will follow suit. Inside, my F-150 was loaded. The King Ranch version is one of the slickest, most attractive trims offered to today’s consumer. The iconic King Ranch logo is prevalent throughout. Emblazoned on the center stack, the floor mats and even the car seats, the King Ranch F-150 is special. The western-feeling King Ranch interior includes soft, elegant touch points. Imagine luxury meets the old west, and that’s what the King Ranch is. For me, this is what a truck is supposed to look and feel like – firm comfortable seats, room to stretch out in the back seat, and a luxurious interior. Of note was the cabin noise in the 2015 version. It seemed slightly increased from the 2014 version I drove. Perhaps this is due to the drop in weight. 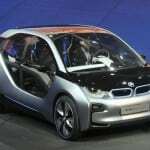 Not so much the aluminum body panels, as much as the decrease in sound deadening materials in the door and engine block. Dropping weight does have advantages however. 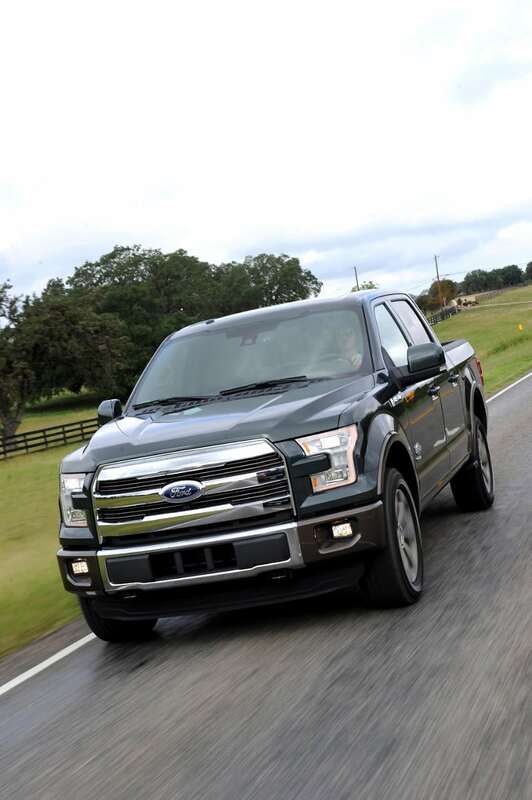 By dropping the weight, the F-150 actually increases its payload ability. 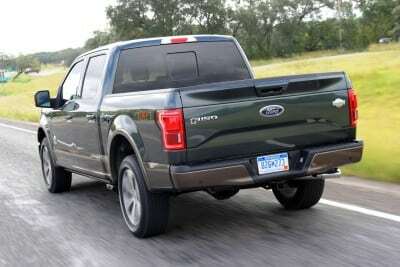 Ford claims the lighter 2015 F-150 increases overall payload by 1,100 pounds. Additionally, there’s a significant fuel economy increase of as much as 15 percent year over year (based upon drivetrain and powerplant). 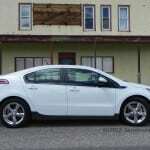 My tester, with a six-speed automatic transmission and four-wheel drive, had an EPA rating of 18 mpg/city and 25 mpg/hwy. In a week’s worth of driving, where I did no hauling or towing, I averaged barely 18 mpg. Ford’s claims of near 15 percent fuel economy improvement must be for the 2.7-liter engine with rear-wheel drive or else it’s fuzzy math. Optioning out the F-150 is always fun for the consumer. The reason the F-150 is such a big seller is that there are trims, options and sizes to fit everyone. There is both an extended cab (Supercab) and a crew cab (Supercrew) with bed sizes of 5.5, 6.5 and 8 feet. My tester was the Supercrew with the 6.5-foot bed. With five trim levels offered in RWD and AWD, pricing varies. A bare-boned F-150 can start in the high $20s. Meanwhile, my tester had a base price of $51,920. With extra options like adaptive cruise control, moonroof, trailer tow package, spray-in bed liner and an advanced technology package, my tester had a final MSRP of $61,200. 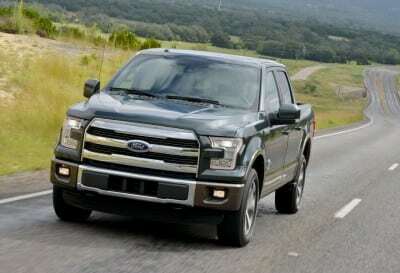 Messing with a successful formula, Ford has taken a big risk by dropping significant weight from the F-150. However, when you drive it, the F-150 still feels formidable. The aluminum doors still feel strong and don’t sound or feel flimsy. 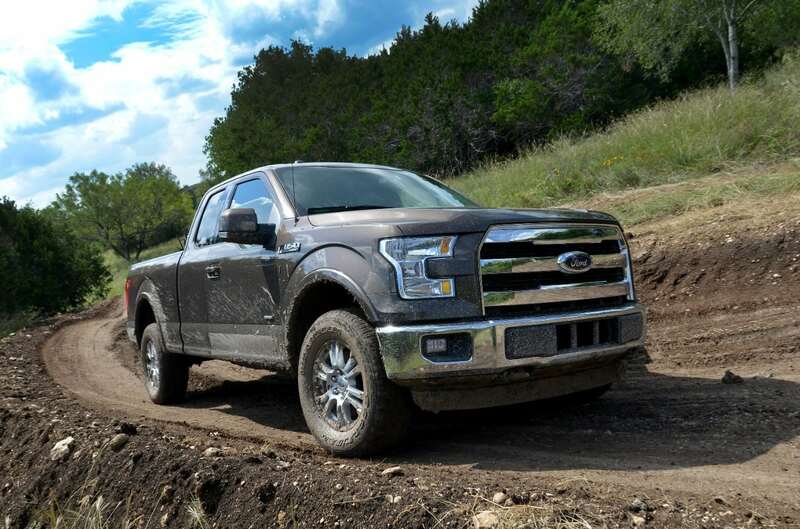 And by dropping the weight, the 2015 Ford F-150 is more agile and quicker. By dropping weight out of the F-150, Ford has managed to tweak the formula for pickup trucks, while not diminishing the qualities that make the F-150 such a solid truck.